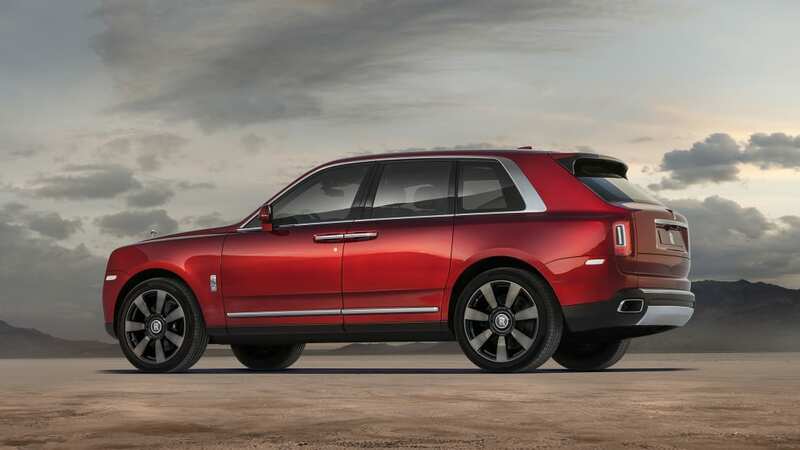 Why did we ever expect the Rolls-Royce Cullinan to look like anything other than a Phantom on a lift kit, minus the trunk? 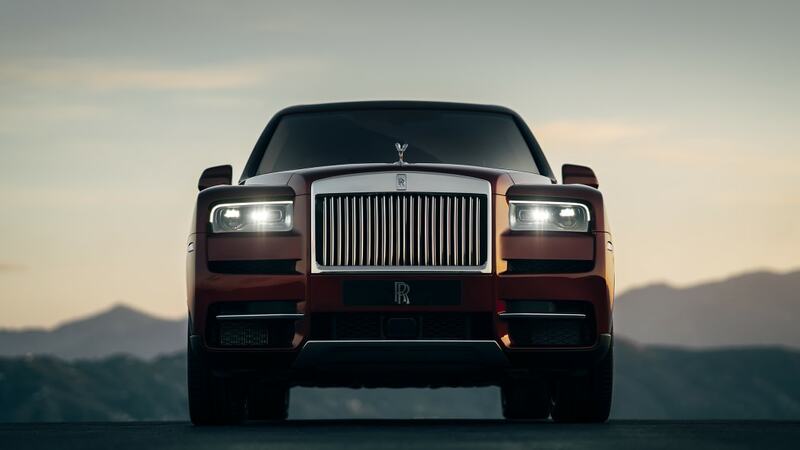 The Rolls-Royce of SUVs perfectly employs Phantom cues, from the raised hood to the strong shoulder line and coach doors. The English off-roader brings a bunch of brand-redefining firsts with it, including all-wheel drive, an off-road driving mode, and a suspension that actively extends the dampers to keep every wheel on the ground. 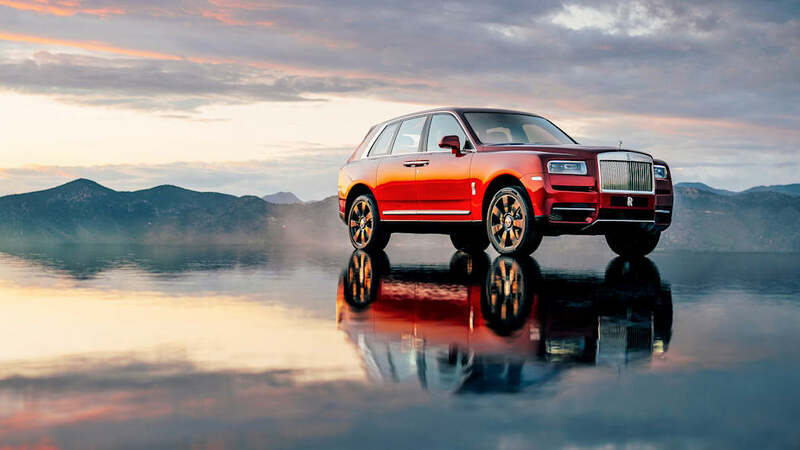 All of the vehicle's innovations serve the tagline that will help sell the Cullinan to wealthy owners: "Effortless, Everywhere." 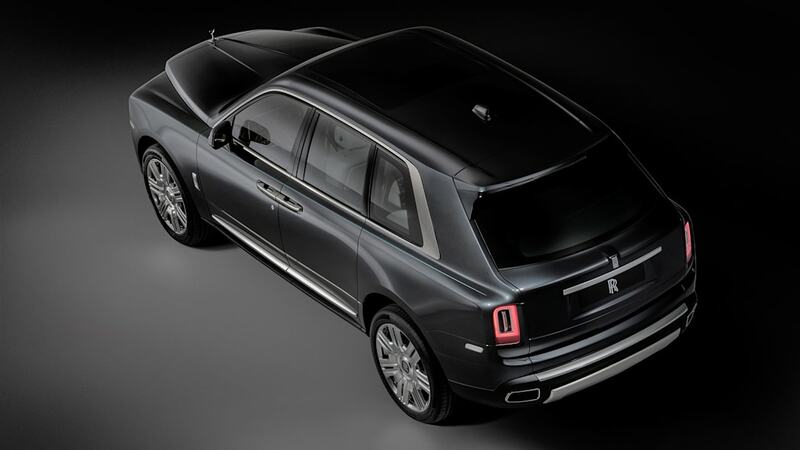 The Cullinan stretches 210 inches long on a 130-inch wheelbase, 17.2 inches shorter overall than a Phantom on a wheelbase 9.8 inches shorter. 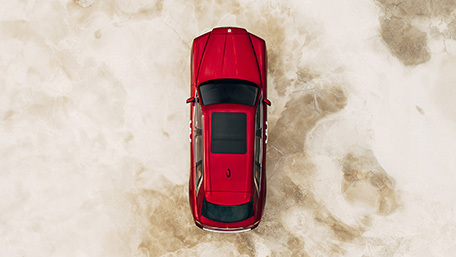 However, the SUV is 5.6 inches wider than the sedan and its roof stands 7.2 inches higher. 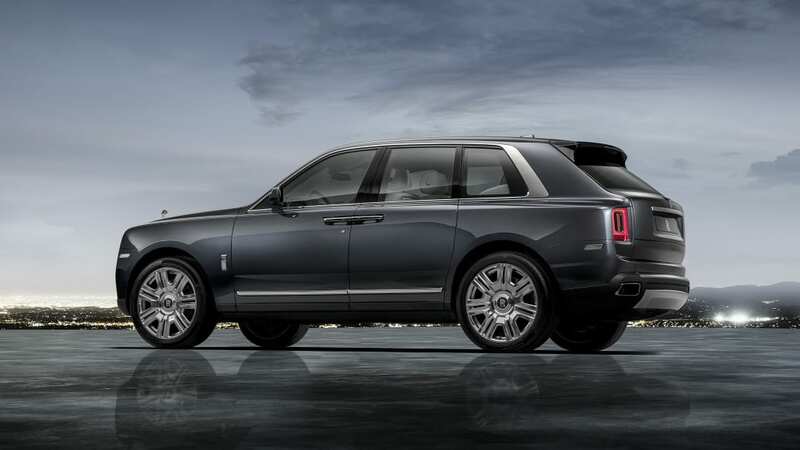 Built around the same all-aluminum Architecture of Luxury as the Phantom, the extra bits that make the Cullinan ready for dirty work add just 200 pounds compared to the car, for a curb weight of 5,864 pounds. 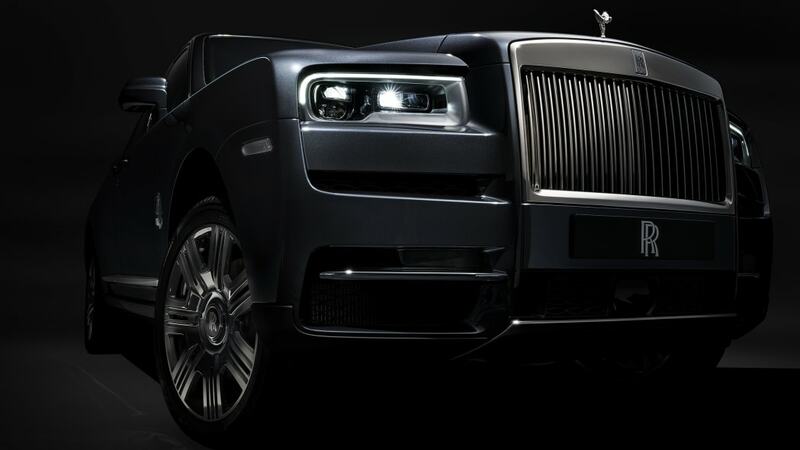 The 6.6-liter twin-turbo V12 (Rolls-Royce still refers to it as a 6.75-liter) produces 563 horsepower and 627 pound-feet of torque, matching the Phantom's horsepower but losing 37 lb-ft of torque. 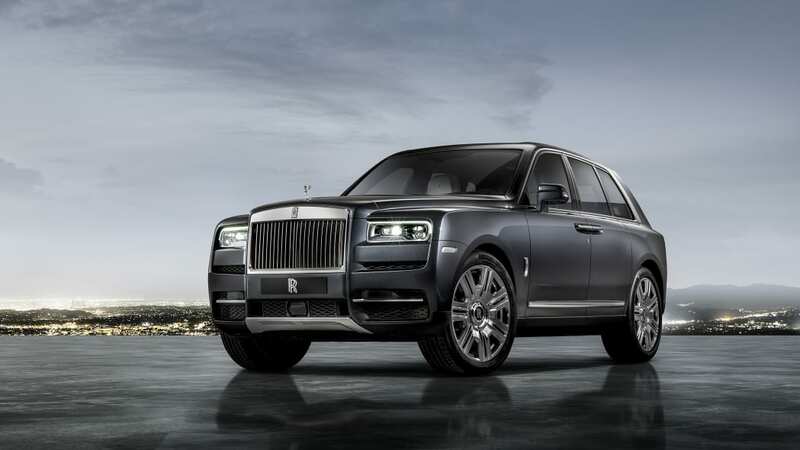 However, the remaining torque comes 100 rpm sooner in the Cullinan than in the Phantom. 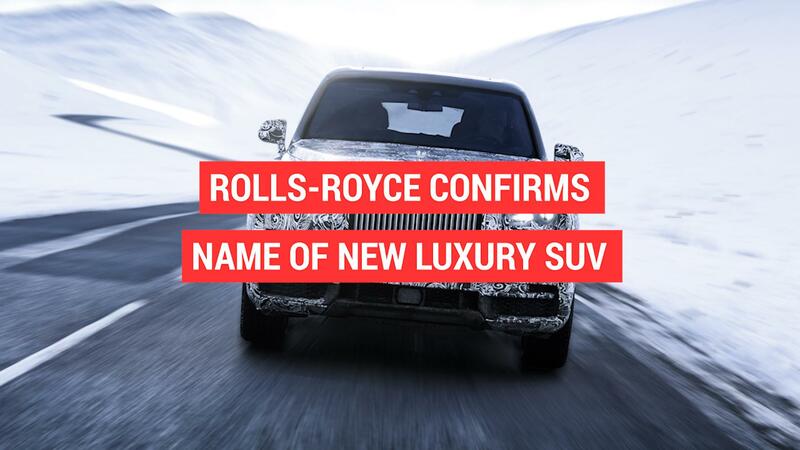 Rolls-Royce whipped up another narrative trick to keep the Cullinan from being associated with the two-box SUV herd, calling it "the first 'three-box' offer in the SUV sector." 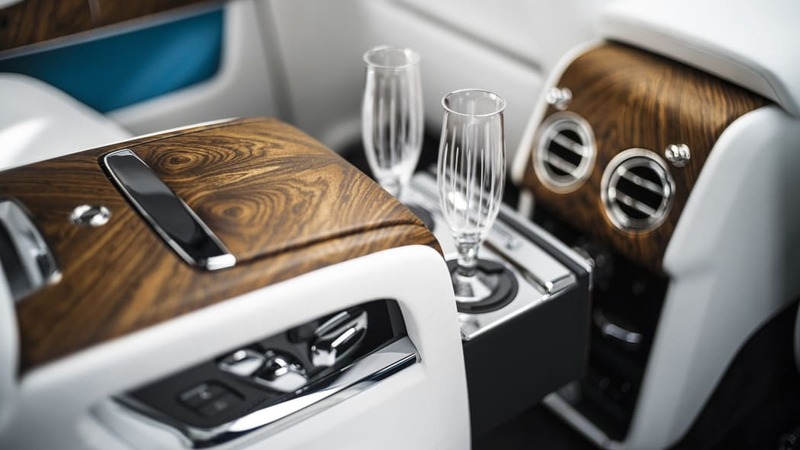 With only two boxes visible from outside, we assume Rolls-Royce refers to the available glass partition in the cabin separating the seating area from the cargo, for Cullinans equipped with individual second-row seats. 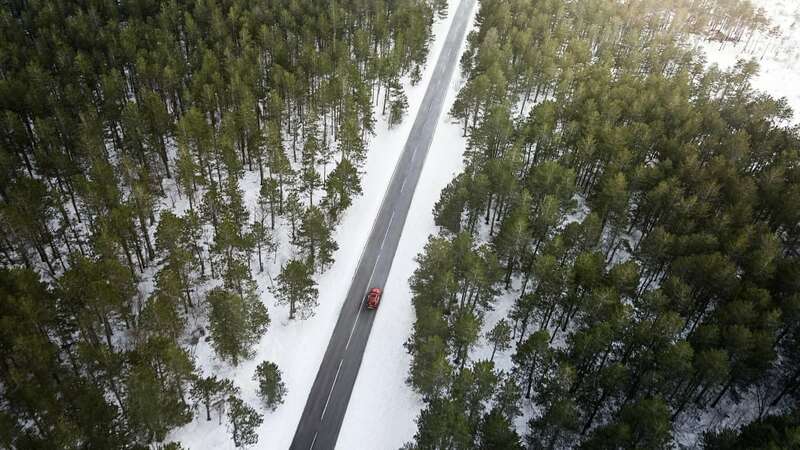 That would make for three distinct areas, and serve as a "nod to the era when luggage was mounted on the exterior of the motor-car, so the occupants did not travel with their belongings." 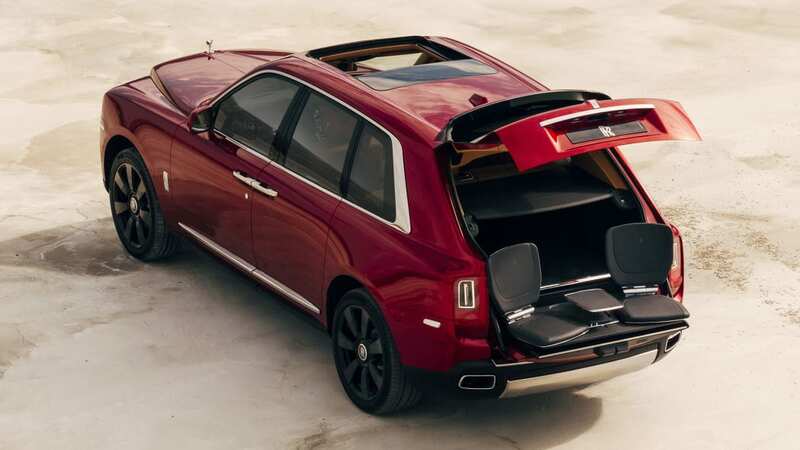 Speaking of which, the feature we normally call a "tailgate" is called "the Clasp" on the Cullinan, a reference to when drivers put luggage on the outside of the car. The electrically operated two-piece hatch has a narrow lower section that folds down to help support the electronic drawer in the Recreation Module. The module provides custom designed storage for tools suitable to an owner's hobbies, like hawking, hunting, or drone racing, or it can stow the seats and cocktail table for the Rolls-Royce Viewing Suite. 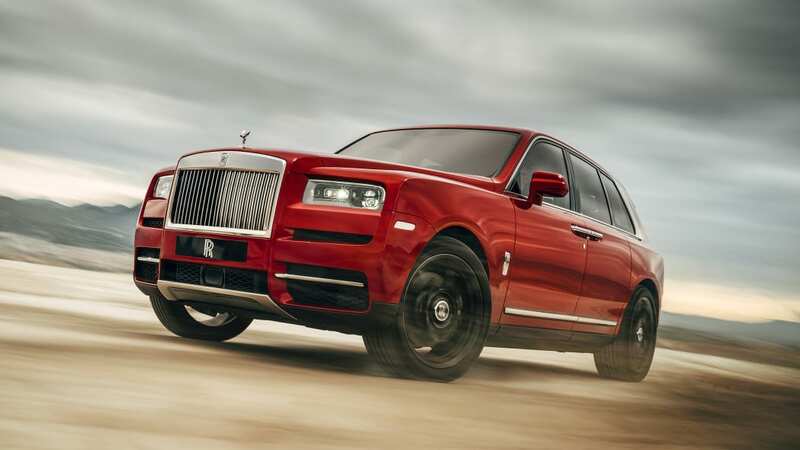 The Cullinan earns its chops in the cabin and under the skin. 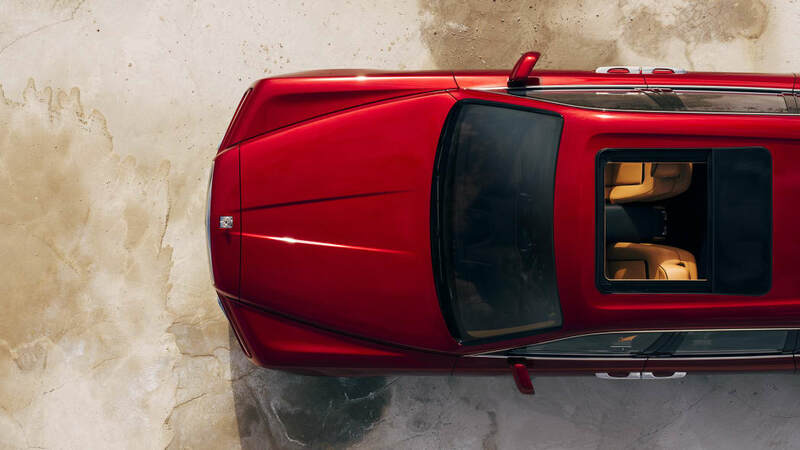 Rolls-Royce didn't specify a standard ride height on the 22-inch wheels, but the SUV lowers itself 1.6 inches when the doors are unlocked, then rises 1.6 inches upon pressing the start button. 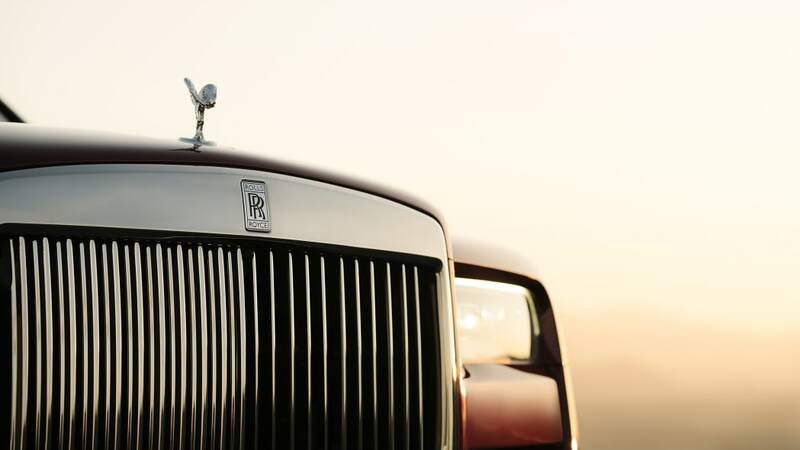 Inside, passengers encounter a wing-like cowl atop the padded instrument panel, and a slightly rearranged interior compared to the Phantom. 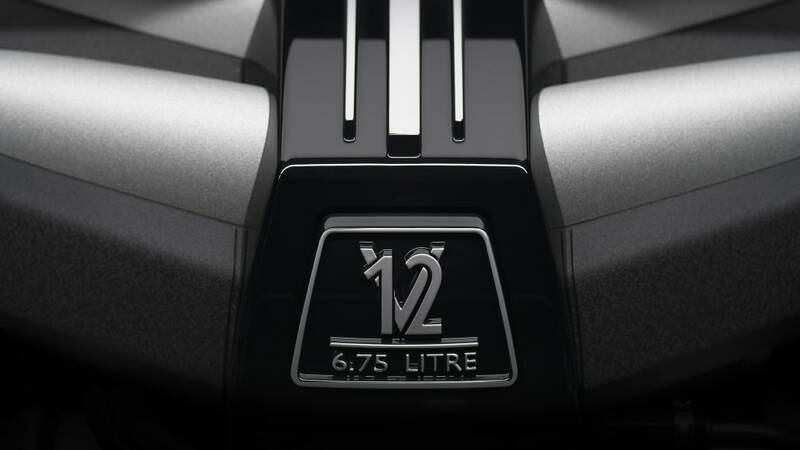 Digital instruments and a smaller, thicker steering wheel face the driver, but gone is the glass-fronted "Gallery" available in the Phantom, replaced by "Box Grain" black leather facing. 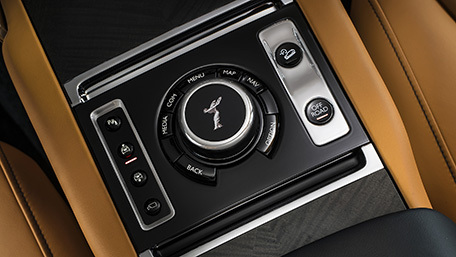 The center screen now responds to touch, but can also be controlled by the Spirit of Ecstasy controller that's been moved from the armrest pull-out to the center tunnel. The passengers in the rear Pavilion Seating sit higher than those in front so they don't miss out on the views ahead. Lounge rear seating provides a fold-down bench that can fit three, with a 60/40 split. 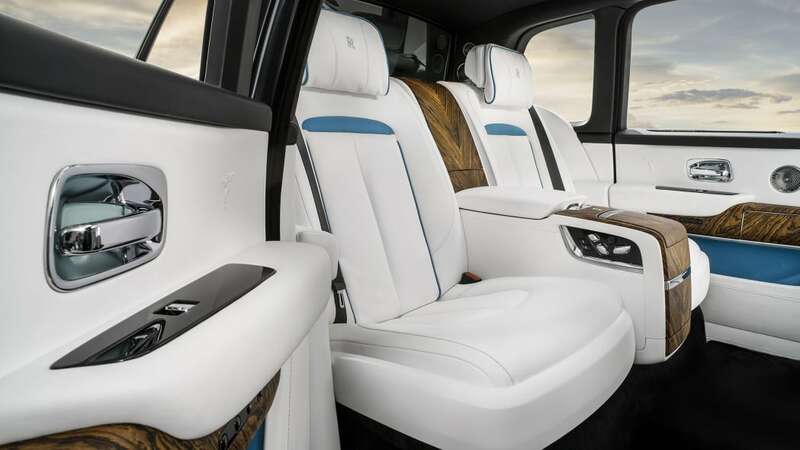 Another telltale Rolls-Royce detail comes in knowing the rear headrests move up when folding the seatback so that the headrests don't leave unsightly imprints in the cushions. 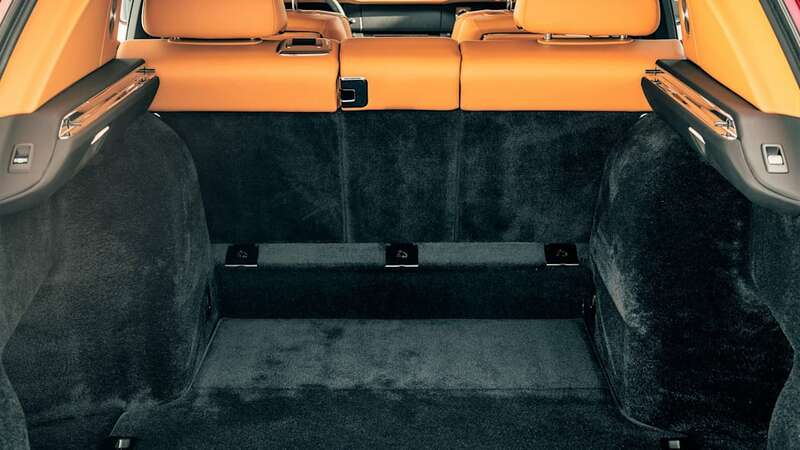 Individual rear seating means two plush, powered seats, separated by a console that contains a refrigerator, drinks cabinet, whiskey glasses, champagne flutes, and decanter. 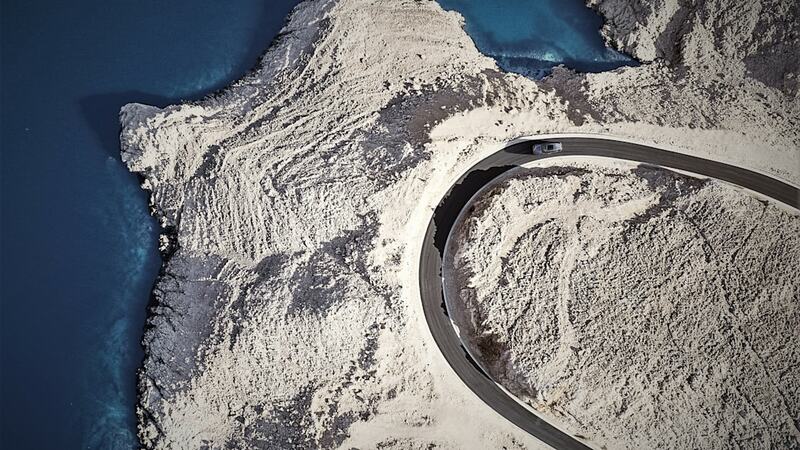 Merrymakers in back can keep track of the driver's progress on the rear touchscreen map while they imbibe. 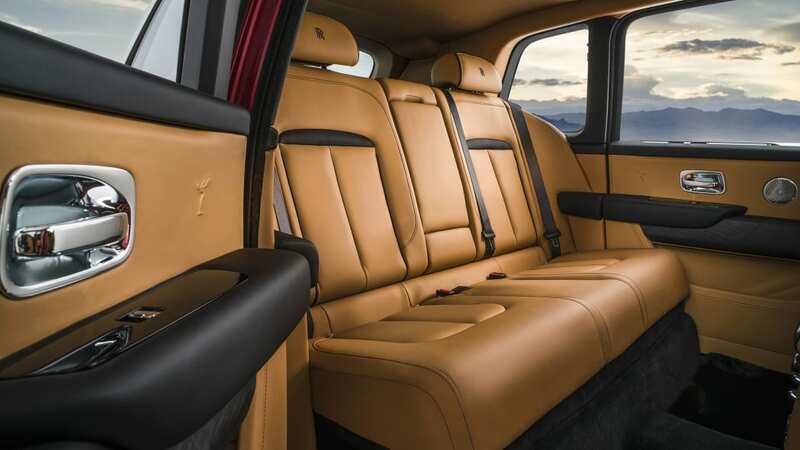 Behind the back thrones, the cargo floor normally sits lower than the tops of the rear seat cushions. 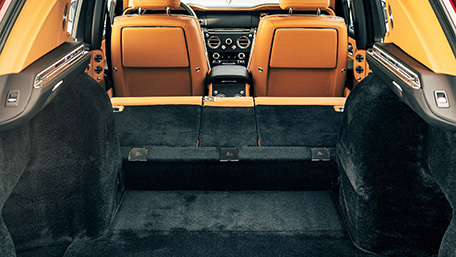 The height difference prevents cargo from sliding all the way forward when the rear seats are lowered. An owner can raise the cargo floor to create a flat floor. 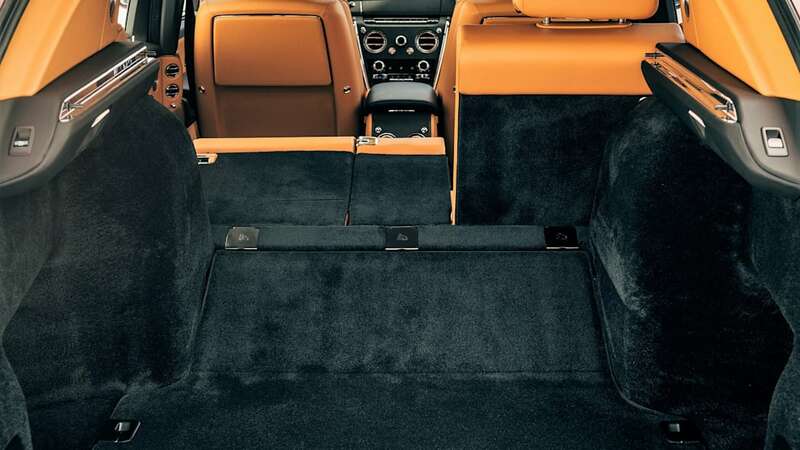 The cargo area can swallow 19 cubic feet with the parcel shelf in place and rear seatbacks up, 21 cubic feet without the shelf, and 68 cubic feet with the cargo floor raised and the rear seats folded. In that guise, the Cullinan can swallow a load eight feet two inches long. 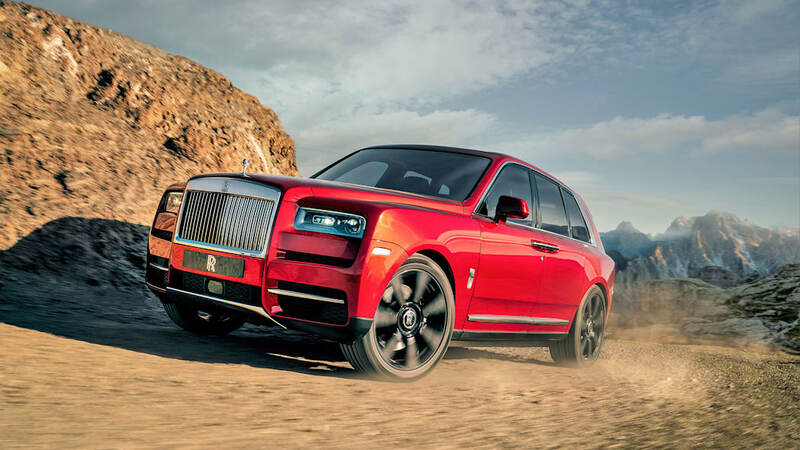 We aren't sure how many preset levels the Cullinan's suspension can access, but two suspension height buttons on the center tunnel provide owner control. 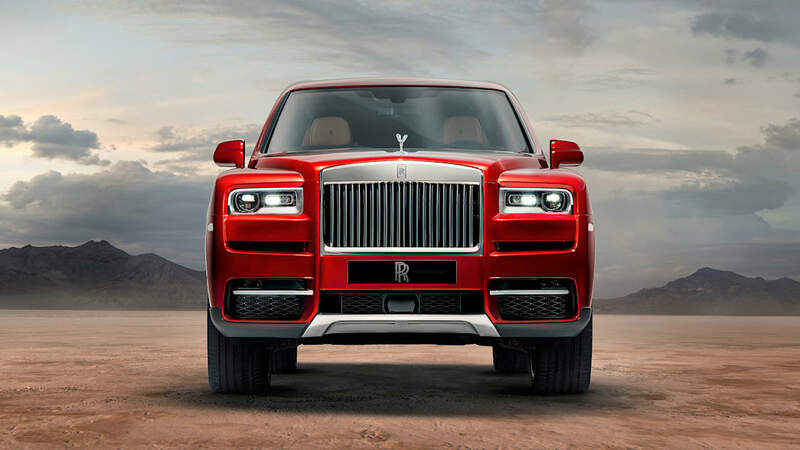 On its tippy toes, Rolls-Royce says the SUV can wade through up to 21.3 inches of water. 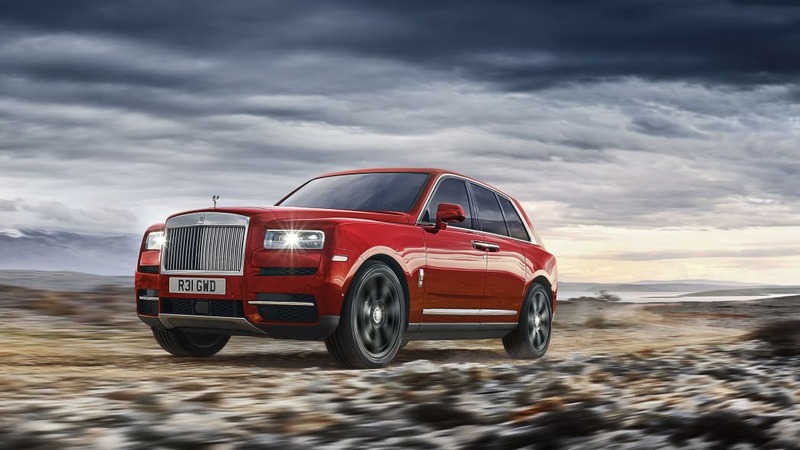 The Cullinan can go 1.7 inches deeper into the flood than the Bentley Bentayga, but comes up short of the 35.4-inch wading depth of a Range Rover. 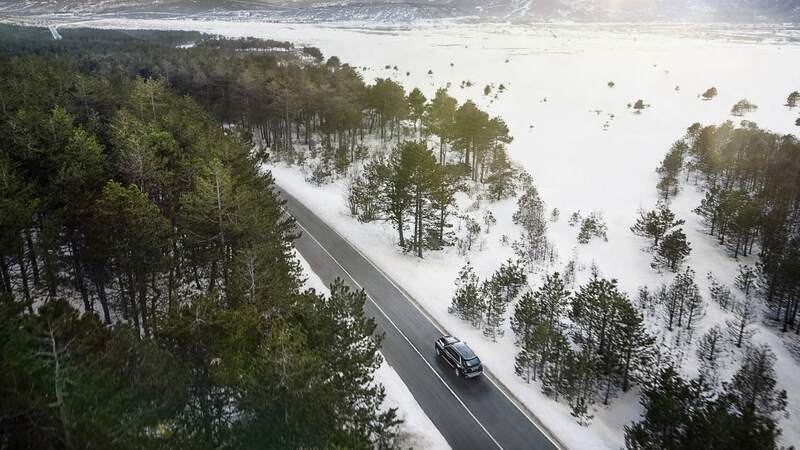 The automaker has long crowed about the Phantom's "magic carpet ride," but the Cullinan's self-leveling and electronically controlled air suspension goes one better when in Off-Road mode: An air compressor actively extends the struts to keep the wheels on the ground. 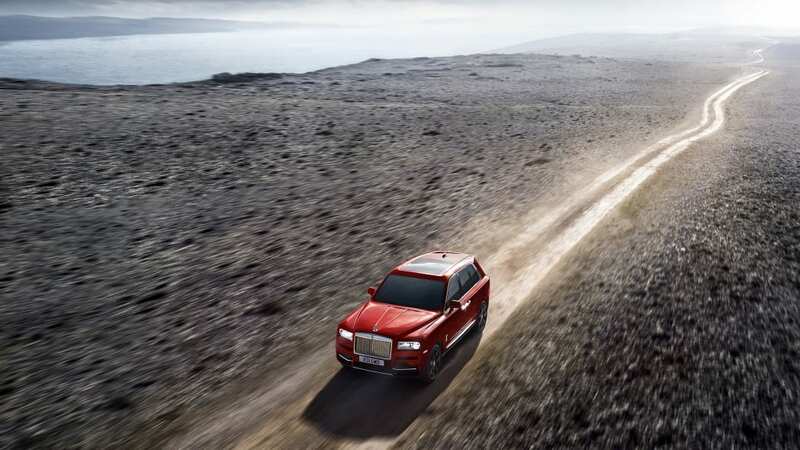 There are six terrain modes — rough track, gravel, wet grass, mud, snow or sand — but an owner doesn't need to select them individually; once in Off-Road mode, the Cullinan interprets inputs and camera information to sort everything out. Because, "Effortless, Everywhere."